The Houston, Texas, police sergeant was actually eager for the surgery, which happened in August 2014. She likened her feelings to a child’s yearning for Christmas morning. 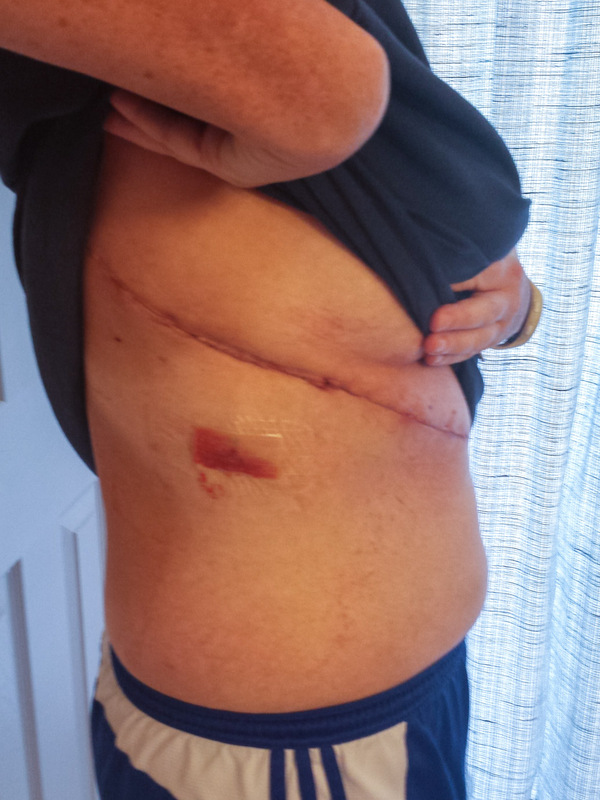 In July 2014, Barnes needed a hysterectomy. The surgery would be vaginal. “It was supposed to be very simple,” she said. A hysterectomy is the second-most-common surgery among U.S. women, according to the Office on Women’s Health that is part of the U.S. Department of Health and Human Services. 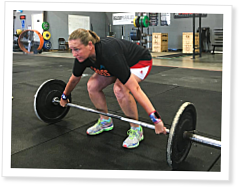 In the preceding months Barnes kept her normal schedule, which included working out at CrossFit Redefined five days a week. Her plan was to be back on the streets of Houston three weeks after the hysterectomy, beating the doctor’s estimate of four to eight weeks of healing time. “No street cop wants to ride a desk that long,” she said. Plus, Barnes was a former elite soccer player. She had seen her fair share of surgeries: her hips, her ankle, her hand twice. She arrived for surgery the fittest she had been in years. But when she received the anesthetic she went into cardiac arrest. Medical staff performed CPR on Barnes for about six minutes. Once they got her heart restarted, they put her on a ventilator. She was sedated for two days. Hospital staff asked Barnes’ friends and family endless questions about her eating and drinking habits, whether she used drugs, vitamins or supplements. But the lifelong police officer didn’t so much as drink coffee or tea. Barnes underwent multiple scans and tests, including a cardiac catheterization that found her heart to be as healthy as that of an 18-year-old. Doctors decided she must have had an allergic reaction to the anesthesia. Before the hospital discharged Barnes, she had a chest X-ray to ensure fluid was no longer in her lungs. The routine X-ray was anything but. It captured the top of her right kidney and adrenal gland, where the radiologist saw something unusual. Lab results showed abnormal levels of normetanephrine, a metabolite of norepinephrine. Norepinephrine is a neurotransmitter that can cause blood vessels to constrict, blood pressure to rise and bronchi to dilate. Barnes reported occasionally waking in the middle of the night “pouring sweat” and with “head pounding.” Thirty seconds later, she would be fine. Sudden onset of headaches, sweating and an abnormally rapid heart rate are all symptoms of a pheochromocytoma, a rare tumor that commonly develops in an adrenal gland, said Dr. Sofia Vasquez-Solomon, an endocrinologist at Palmetto General Hospital in Hialeah, Florida. The U.S. has fewer than 20,000 pheochromocytoma cases per year, according to the Mayo Clinic. In patients who have hypertension—more than 3 million per year—about 0.2 percent of them have a pheochromocytoma, Vasquez-Solomon said. The only treatment is surgery, she noted. Although only 10 percent are malignant, Vasquez-Solomon said, a pheochromocytoma left untreated can lead to potentially deadly results: congestive heart failure, cardiovascular disease, and uncontrolled hypertension that can lead to a heart attack, kidney failure, stroke or a hypertensive crisis. “It needs to be removed,” she added. Barnes’ tumor was about three times the size of the average pheochromocytoma. 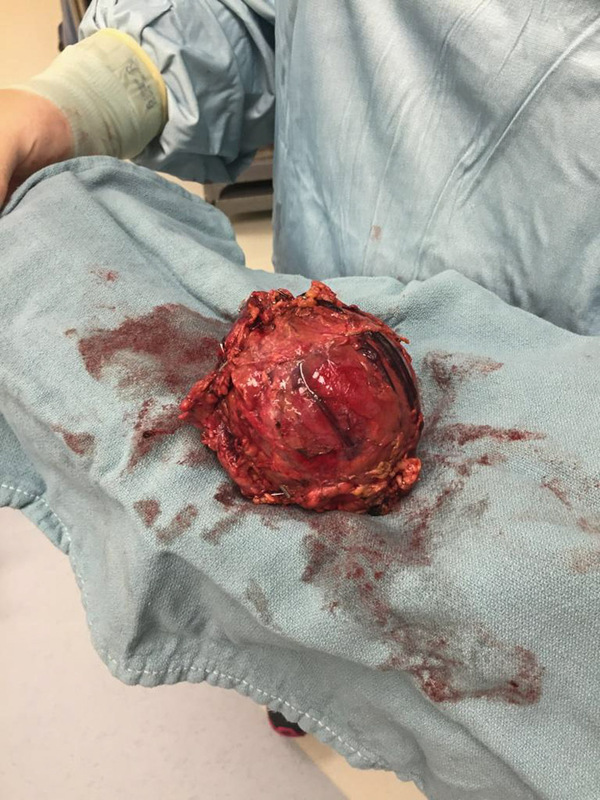 The average pheochromocytoma is 4 centimeters in diameter—about the size of a golf ball—and surgeons can remove it laparoscopically, Vasquez-Solomon continued. Barnes’ tumor, however, was 12 centimeters—about the size of a small coconut. The surgeon would have to cut her from her right shoulder blade, across her ribs, under her right breast and down to her belly button. He would remove her rib cage, cut out the tumor and then put her back together. Before he did that, though, the surgeon told Barnes to prepare her will. A pheochromocytoma reacts poorly to anesthesia, which can lead to complications—such as Barnes’ cancelled hysterectomy a month earlier. “The doctors would only do (the surgery) in the heart-transplant operating room, with a heart/lung bypass machine and transplant team in the room,” she said. Six weeks after her originally scheduled hysterectomy, Barnes arrived for the surgery that would either save her life or kill her. She remained unconcerned. The alternative, she said, was worse. Part of Barnes’ rib cage had to be removed to get the tumor out. She recovered fast enough that she was discharged in five days. The next thing Barnes remembered was waking up in the ICU. By the fourth day, she was shaving her legs, moving her right arm and getting out of the bed once an hour to walk, albeit slowly. Doctors told her she’d be in the hospital for two weeks; she was discharged in five days. More than a year later, Barnes finally had that hysterectomy. Today she’s back to training CrossFit and is functioning at about 90 percent. 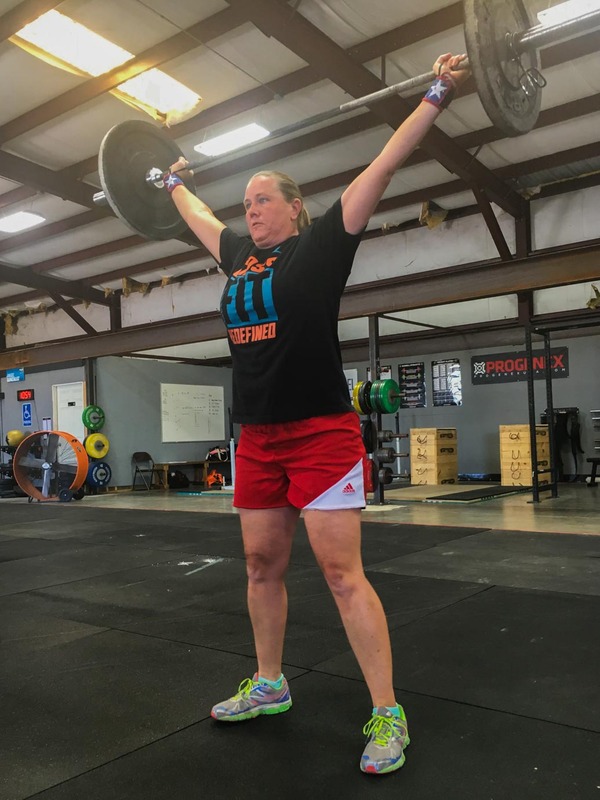 Doctors, including a CrossFitting cardiologist, told Barnes her fitness primed her heart and lungs to handle the load of such an invasive surgery. A big, strong back saved a retired Marine’s life after a 25-foot fall broke four of his vertebrae. Physicians explain what “prediabetes” is and what the diagnosis means for your health. The word “prediabetes” makes Dr. Donna Polk’s patients pay attention. Amazing and inspiring journey. Good luck with the rest of your rehab.